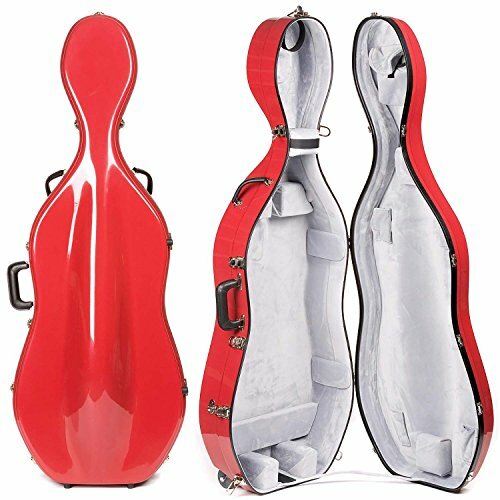 The Bobelock 2000W Fiberglass 4/4 Cello Case with Wheels is considered by many cellists to be among the finest and most protective fiberglass cello cases available. This case has a beautiful red exterior with gray velour interior and offers suspension. It features a convenient handle in rear portion of head when using the wheels for easy transport, a shoulder strap, two bow holders, and is sized for a 4/4 cello. Practical, professional, and extremely well made, Bobelock cases are always a great value. If you have any questions about this product by Bobelock, contact us by completing and submitting the form below. If you are looking for a specif part number, please include it with your message.